Read up on the latest: Visual Thinking, Live Visualization and facilitation formats are currently trending. 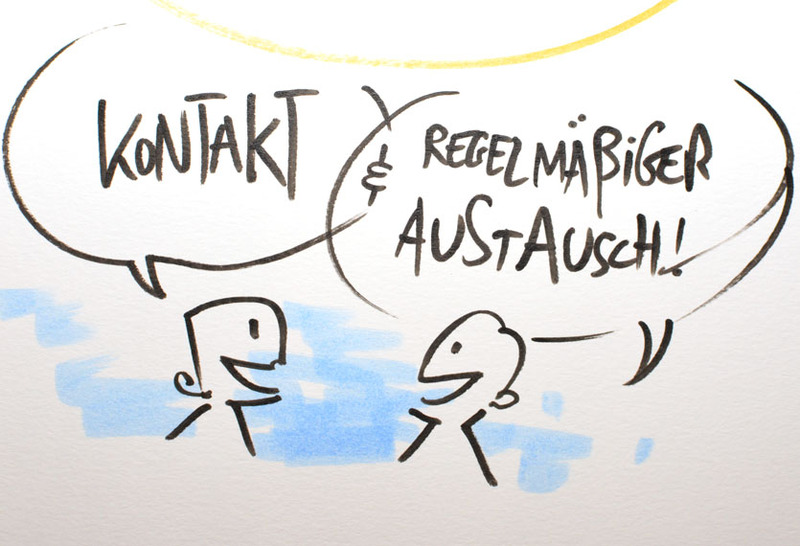 Stay up-to-date with our Visual Facilitators newsletter. Our newsletter shows you which tools and methods can support you in this rapidly changing world. We will inform you of all current events, offers and seminar dates. Discover what is up-and-coming: Our newsletter is published on an irregular basis. We only write you when there is something to report. Naturally your data will be handled with the utmost care and securely stored. We never share data with a third party. And you may unsubscribe at any time. Constant evolution: That’s what we are committed to. Updates can be found in our newsletter. „Stay Hungry, Stay Foolish!“ – Take it as Steve Jobs and register now! Our Newsletter contains information about products, offers, promotions and our company. Everything relevant in regards to data protection, disclaimer as well as usage tracking can be found in our data protection declaration (Datenschutzerklärung).